Pastor Wilson Bugembe, who’s a Ugandan gospel musician and a pastor at Light the world ministries in Kampala plans to hold prayers for the people who died on the boat that capsized in lake Victoria. Pastor Wilson has requested Ugandans to stop criticizing these people following the unthoughtful comments that have been all over social media from different people since the incident happened. Pastor Wilson has also promised a concert during the Easter season next year, because he has some newly released songs, he also cleared air about having issues with fellow pastors, he says he has none therefore he lets them speak to the people freely in case he owns a certain event. Many revelers lost their lives last week on Saturday night while they were on a boat cruise enjoying a certain party which was reportedly organized by David Wasajja, the boat BV Temper which had over 120 people capsized in to the shallow waters of Lake Victoria, claiming the lives of dozens of Ugandans and of which many haven’t been recovered at yet. 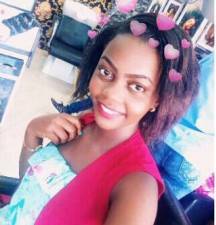 Yesterday evening, the killer boat was finally retrieved of lake Victoria, and according to the divers, some parts of the bodies were recovered within the rooms of the boat.